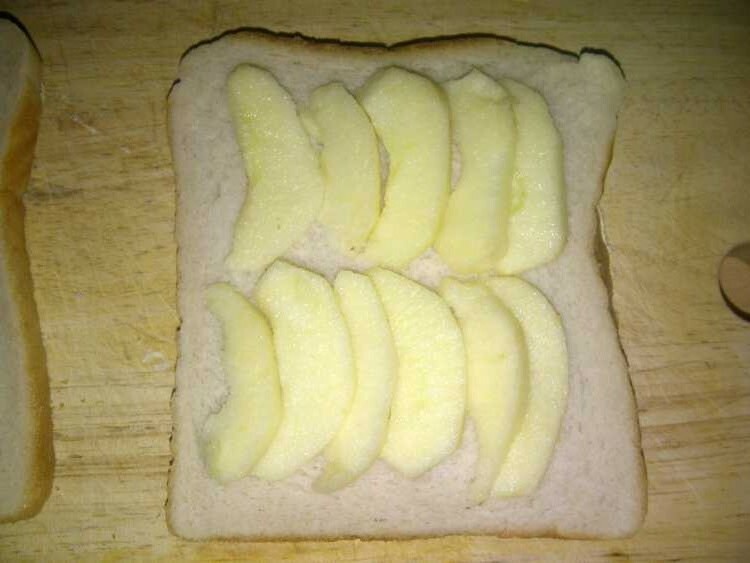 It’s not the prettiest apple pie you’ll ever see, but for a speedy alternative, it’s not bad, right? 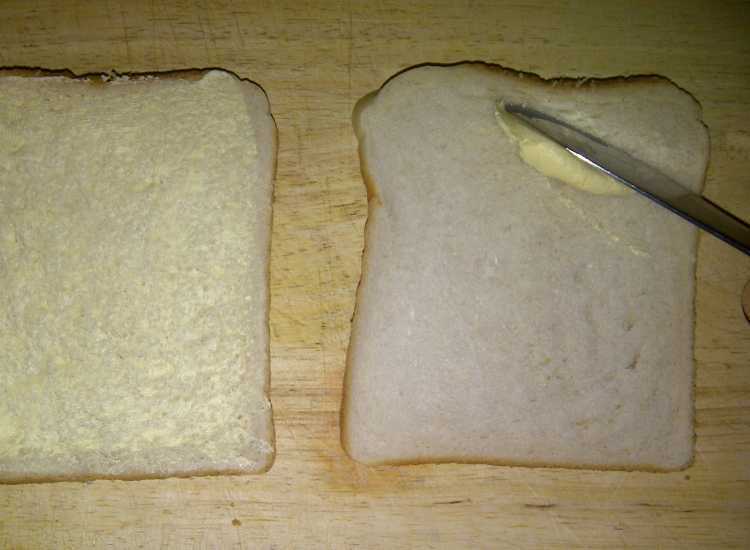 If you want to make a healthier version, use whole wheat bread and leave out the sugar. 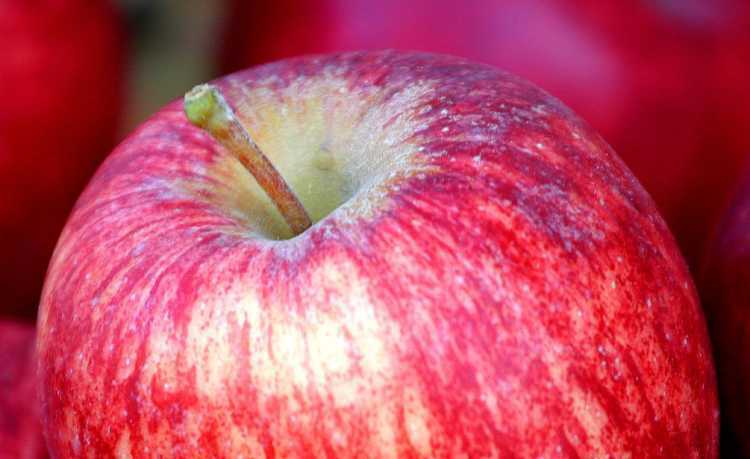 Also, try experimenting with other fruit, maybe peaches or berries? 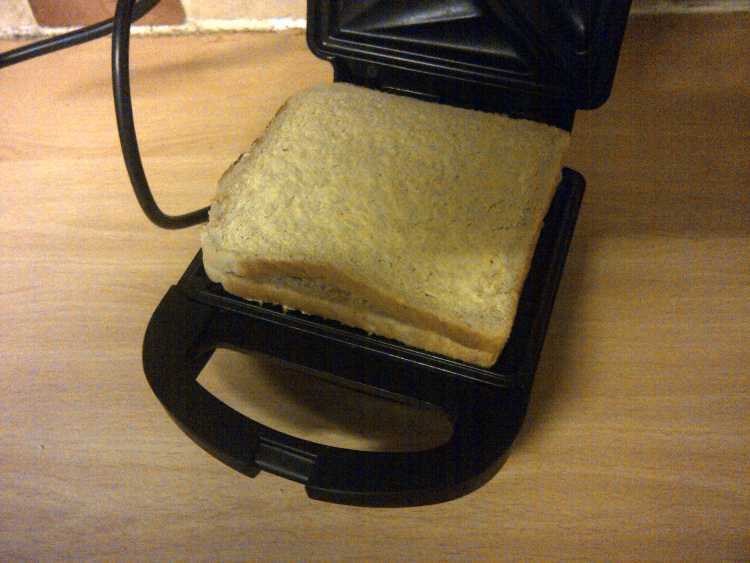 Well one of my Twitter followers just commented that they didn’t have a sandwich toaster either, so I told them to pop round to ours and I’ll make them one of these, so I’ll extend the invitation to you too! 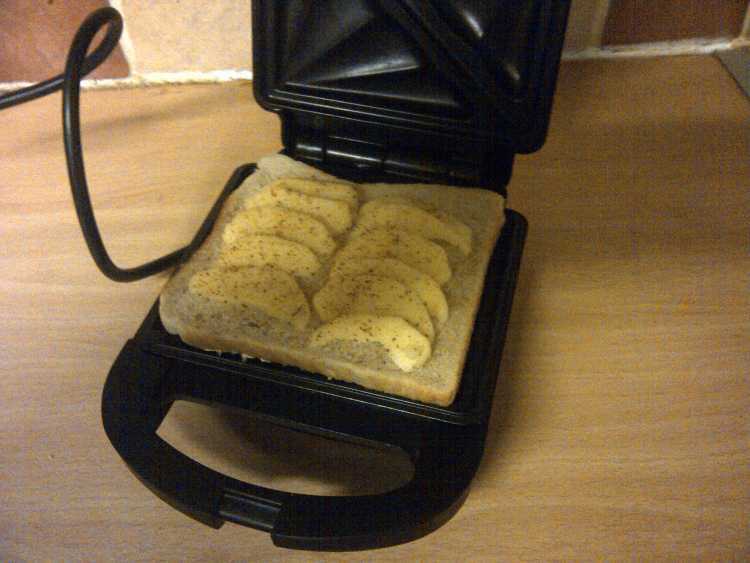 You can make a whole meal with a sandwich toaster – if you put some pizza topping sauce, cheese, and your favourite pizza bits in one, then you have an inside out pizza for your main, and then apple pie for dessert! (Maybe include a side salad to go with the pizza to make it a bit more of a rounded meal). 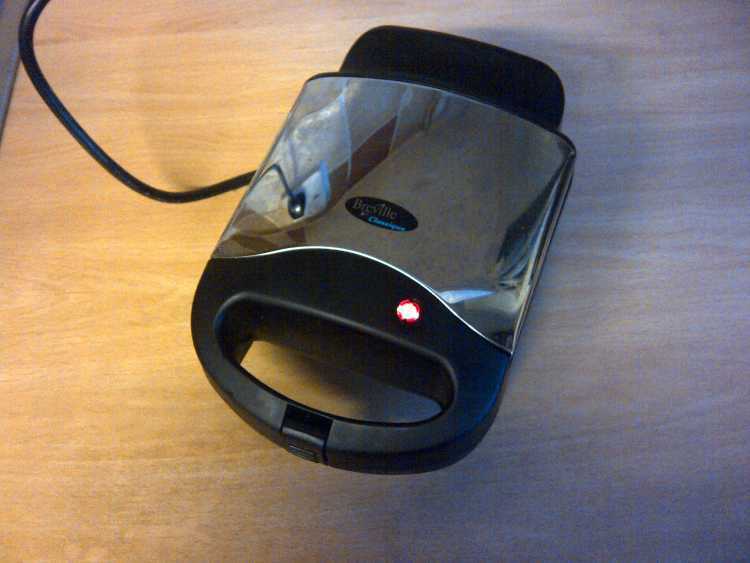 There are SOME limits to what a sandwich toaster can do. Ah yes, I actually struggled with the spelling of cinnamon/cinamon/cinammon/cinnammon when I was doing this post! I’m starvin’ – any left? 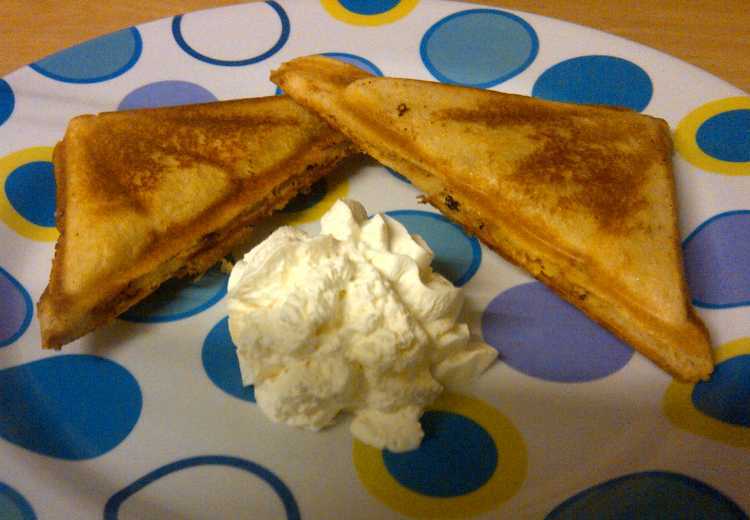 The idea of a sweet toasted sandwich seems strange at first and yet we think nothing of putting sweet spreads on toast. 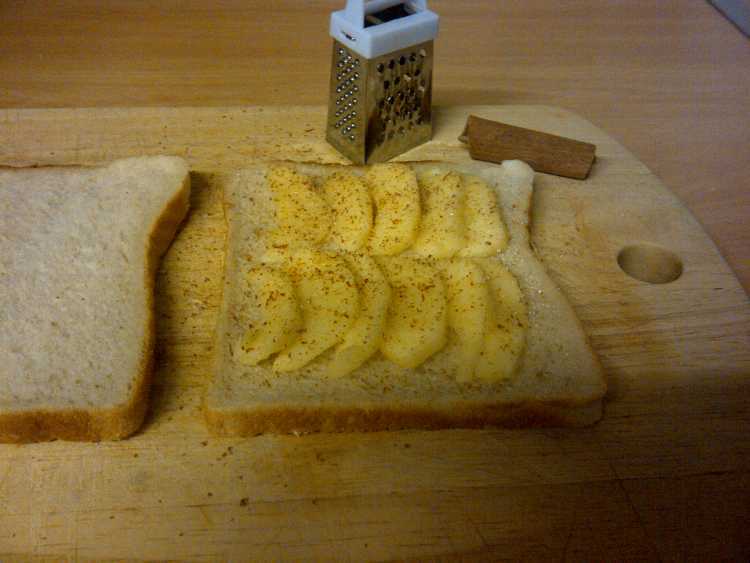 Yes, I’ve wondered about adding cheese in with the apple, I think that would be good, but probably without the cinnamon! I love baked brie, the little ones, and you have them with cranberry sauce, mmmm. I made this in the evening, so the photos are a bit dark, I find I get much better photos with natural light – I’m usually only using my phone to take them, so I need all the help I can get! Nutella, ooh, that WOULD be naughty. I wonder if blueberries might make it too watery. I thought of blackberries, which are an obvious choice with apples, but maybe I’ll try blueberries too sometime! What an awesome idea! Love it. heat and keep insects out. Good answer back in return of this issue with genuine arguments and describing everything regarding that.